Many of us have felt that some sort of circumstance in our life has created a division between us and God. Satan wants us to think that we can put ourselves in a position that is “untouchable” by God, a position of helpless isolation from Holy help. 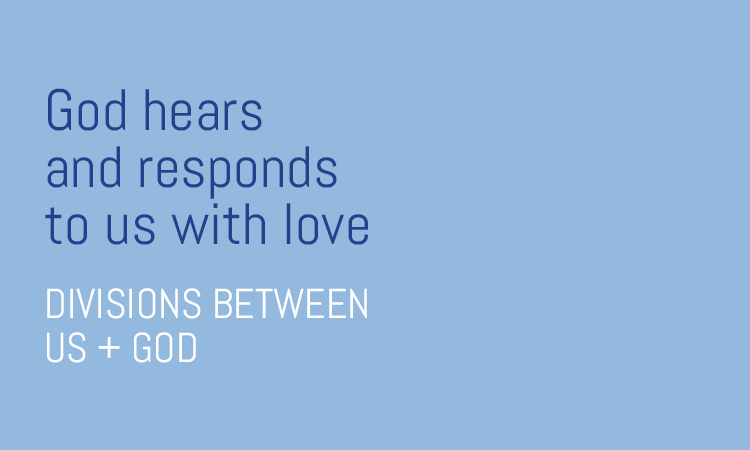 The truth is, ANYTIME, we cry out to God for help, God hears and responds to us with love. Because of Jesus, NOTHING can separate us from the love of God. WOOHOO! YAY for us!!! 38 And I am convinced that nothing can ever separate us from God’s love. Neither death nor life, neither angels nor demons,[a] neither our fears for today nor our worries about tomorrow—not even the powers of hell can separate us from God’s love. 39 No power in the sky above or in the earth below—indeed, nothing in all creation will ever be able to separate us from the love of God that is revealed in Christ Jesus our Lord.